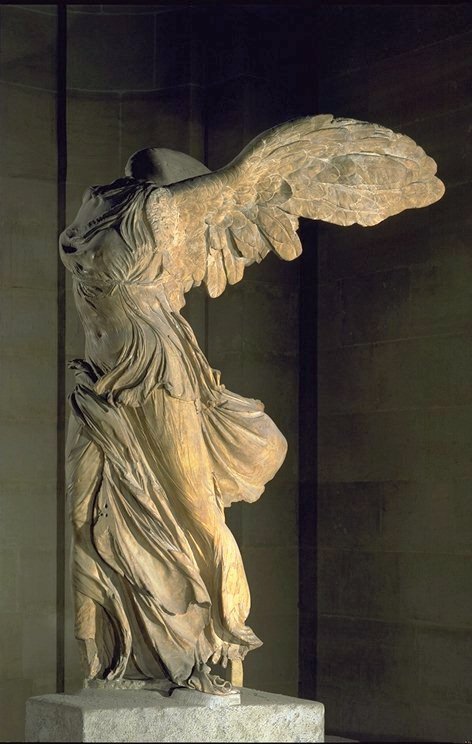 The island of Samothrace, in the North Aegean, lies some 34 km. southwest of the Thracian city of Alexandroupolis. It is the second highest island in the Aegean; Mount Fengari rises to some 1600m. Access to the island is by boat only. The island is small, some 176 square km., but it contains one of the ancient world's great mystery sites, the Sanctuary of the Great Gods, including the Great Mother of Axeiros and the Cabeiroi. Approach to the island, with the foothills of Mt. Fengari; the sanctuary is in a ravine at the left. area from n. to s.
above the Theater, early III B.C. though not the earliest--in Greek architecture. This visit, in conjunction with the Second International Symposium on Ancient Thrace (held in Komotini Greece, October 1992), was made possible in part by generous assistance from the School of the Humanities and Dean Jorge García, and my colleagues in the Department of Foreign Languages and Literatures.